Kota University, Rajasthan has declared the B.Ed Revised Exam Results 2013 on the official combined exam portal indiaresults.com. 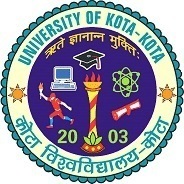 Students appeared in the Kota University B.Ed Exam 2013 can check their exam results online through the direct link provided below. To find the result, students must know their roll number or full name, fill the details and click on the Find Results button to view the result online. Click on the following direct link (server) to check Kota University Result online. Keep visiting freshersplus.com or like us on facebook to get all the updates for jobs and results of upcoming exams or freshers/experienced jobs.